Anybody has views on similarities or differences between Taylor method and Market Profile. Richbois: Same scenario like yesterday is unfolding today, except in reverse. 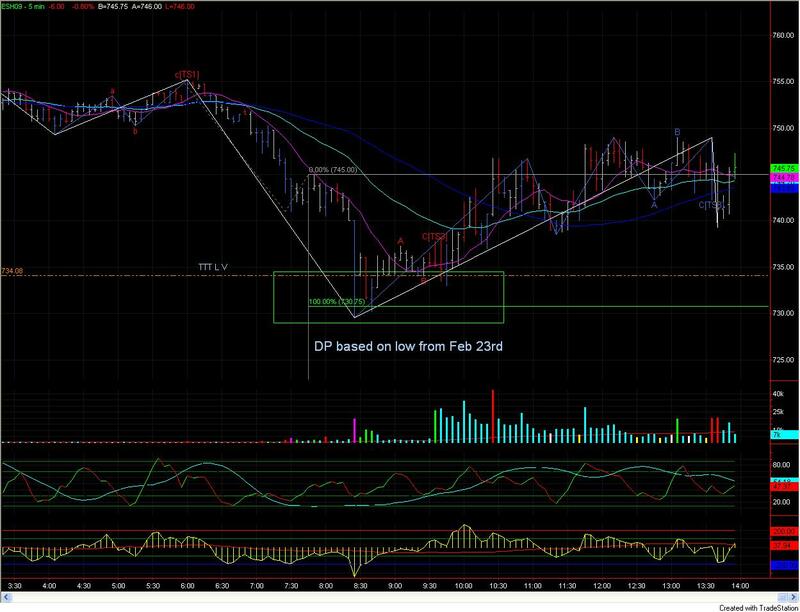 It is worthw at watching ES Globex, however it is debatable as to which is leading which. Dax probably is calling the shots prior to US open. There were great BUY setups for the BUY day in the morning session here on the Dax etc, again around 9a.m London time, take the profits and stand aside because once US opens the market is most likely to go down again before more buying opportunities emerge. Thanks for you comments the last couple of days. Managed to profit from the morning sell yesterday on the FTSE, but my buy today fizzled out. as you noted new buy opportunities coming in with US open. Been analysing timings of where the BD lows and SSD highs come in on the FTSE. In the past three months BD lows have been evenly spread, but there is a clear pattern emerging with SSD highs - about 40% come in first couple of hours and 40% come in last couple of hours. Yes Robros, even this morning depending on your trading timeframe there were nearly 40pt available in Ftse on that 9a.m Long Trade i.e £400 per contract. If trading 2, you really are done for the day. I find that Taylors method allows you to focus on certain trades during the day, prior to this I use to look at all sorts of support/resistance, trendlines etc and found it difficult to decide which trade to take. But have to keep firmly in mind, that just because it was a BUY day and at that point in time a LOW was made FIRST, that the market is just going to keep on going higher whole day. 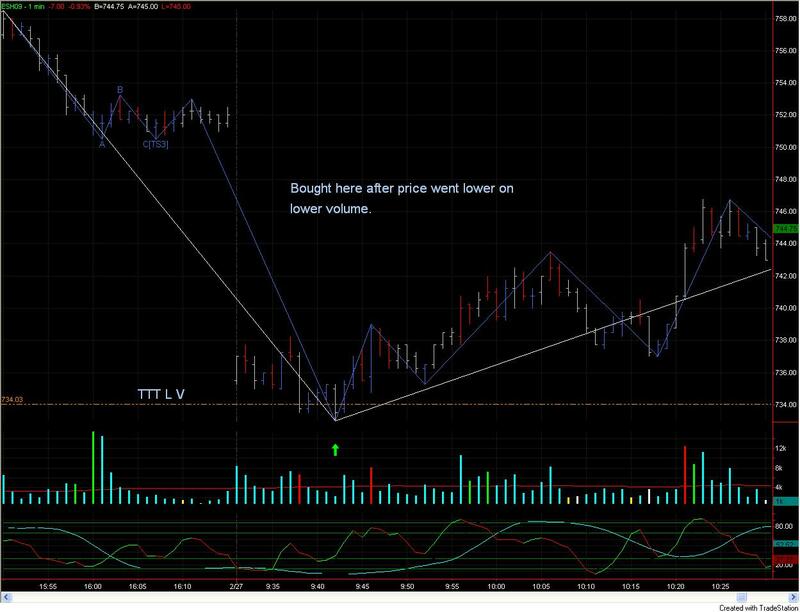 Taylor strongly recommended tape reading i.e not time/sales but price action. You could do that via VSA/Wyckoff etc. Coming back to FTSE almost end of lunch (London) 1.30p.m (8.30a.mEST) normally some report comes out, and today there was another Long as mentioned before for another 40pt move. However along the way there were lots of shorting opportunities, but I do not focus on that. On ES the market gapped down (half expected that this morning) and then bounced right off the Daily pivot (S2~732) providing great longs on the Dax. How did folks do on ES with the MTpredictor and various levels of TTT? The TTT Add-On only works if you are a subscriber as the software needs the to take the data from the daily report. 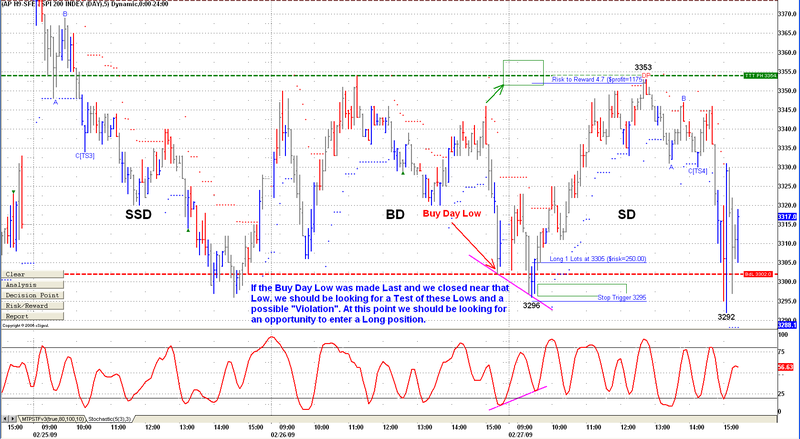 I entered during the day session according to the 1 min on volume divergence. Price went lower on lower volume. Sorry for the after the fact post but busy day. Just wanted to show how TTT helped me have confidence in the trade! Nice of you to ask I went long near the TTT 734.3 and bought a few times unfortunately I didn't had time to take pic's everytime I traded but I can show a few of my trades on my last lot runner as it is with this one that I manage to make more then 5 points as first 2 lots are always out after 3 points. Thanks Richard for the TTT add-on - Makes it so much easier ! !